They serve clients in the Dallas-Fort Worth Area. Many restaurants claim to be both South and North Indian experts but we have listed the ones that seem to be more South Indian. Fill out the form on this page to get all the vendors contact information. Top 9 South Indian Wedding Caterers in Dallas list starts off with Anjappar Chettinad. Fill out the form on this page and we will send you the contact information for everyone on this list. Also if you are still looking for a venue check out our blog on the Top 22 Indian Wedding Venues in DFW. If you are looking for a venue that isn't a hotel, check out the Top 9 Non-Hotel Venues. Fill out the form on this page and we will send you the contact information for everyone on this list. If you are still looking for a photographer check out our blog on the Top 9 Photographers in Dallas. They have recently started becoming popular with our Malayalee Couples. If you are still looking for a decorator check out our blog on the Top 7 Decorators in Dallas..
We see them at South Indian Weddings at least a few times a year. They have the most experience on the Top 9 South Indian Wedding Caterers in Dallas list. We have worked with them in Texas and California over our 24 years of djing Indian Weddings. 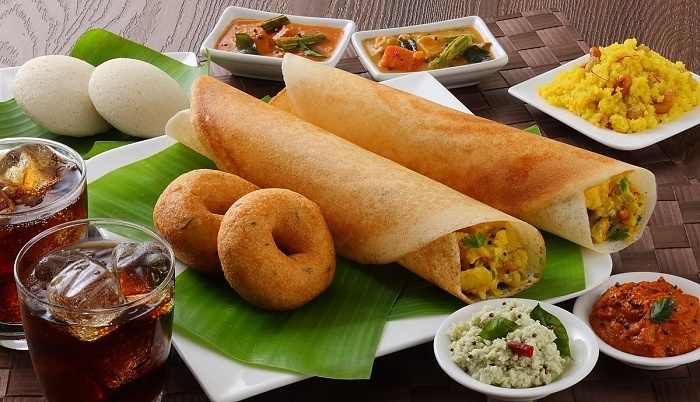 One of our favorite South Indian vegetarian restaurants in the world. We have eaten at their restaurants in Mumbai, California and Texas. Always good food. Since the list is alphabetical they end up on the bottom of the Top 9 South Indian Wedding Caterers in Dallas list. Fill out the form on this page and we will send you the contact information for everyone on this list. A wedding is the happiest moment in your life and you should choose Indian wedding vendors in Dallas that you love. Over our 24 years of bringing joy to thousands of couples, the DJ Riz Entertainment team has performed with some of the above mentioned vendors. The idea behind helping our couples with the Top 9 South Indian Wedding Caterers in Dallas list is so you can start your research and see what other couples are doing. If you would like to talk about which vendors you should select or want to talk to us about music and lighting for your wedding contact us here.